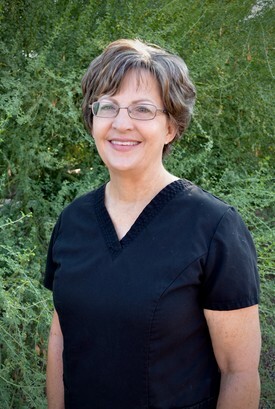 Kathleen has been with Bushman Dental Care since 2008 however, she has worked in dentistry in different capacities for over 30 years. 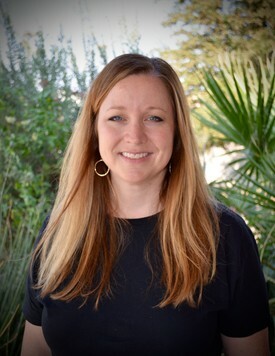 Kathleen and her husband Terry are native to the Morenci/Safford area raising their 5 children in Safford (Kristen, Ryan, Tanner, Landon, and Sean). As office manager, Kathleen's top priority is for our patients to have the best dental experience possible in a safe and caring environment. Communication is very important to let our patients know their dental situation, treatment options, insurance coverage and payment options. 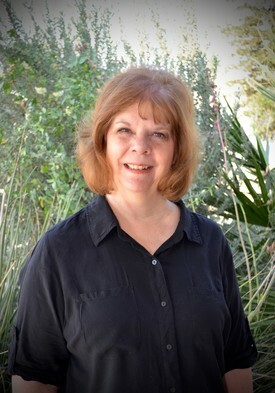 When not in the office, Kathleen loves traveling and spending time with her children and 14 grandchildren! Lori comes to us with a lot of experience in several different fields of dentistry. She grew up in Phoenix, but has deep family roots in the Gila Valley and is really happy to be here. She and her husband Darrell raised their four children, Shannon, Wayne, Shari and Katie here. Her family, church and sports are her passions (She claims she is too good of a spectator to participate in sports however). Give her a call, she will be happy to help you with any questions or appointments. I'm CaSandra Villalba. I have lived in this valley most of my life. I have a daughter named Kiana who is a junior in High School. She is the light and joy of my life! I have worked at Bushman Dental for the past 18 years. My favorite parts of this career is the opportunity I have to meet so many people and to get to know them. Making their visit here pleasant is very rewarding and fun! I also love spending time with my nieces and nephews. My name is Bobbie Messick and I am a register dental hygienist. I am originally from Montana. I moved to Tucson Arizona in 2006 to go to school for dental hygiene. I had wanted to be a dental hygienist since I was 13 years old. My neighbor and family friend was a dentist growing up. I would go to his office and volunteer and learn whenever I could. I fell in love with the atmosphere and the patient care in dentistry. I have a passion for what I do, and always try to make my patients calm and comfortable while they are in my chair. I have two amazing little girls that keep me very busy with dance, gymnastics, and sports. I enjoy traveling, running, being outdoors, and snowboarding. 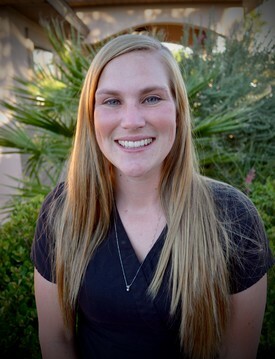 Hello, my name is Sara Bingham and I am a Dental Hygienist here at Bushman Dental Care. I graduated from Carrington College with my Associates of Science in Dental Hygiene in March of 2015. Helping people achieve their goals for their oral health is a passion of mine and I'm very grateful to be apart of a career that can do just that. When I'm not helping others at work, I'm off playing with my husband Palmer and our four children, Kody, Kalli, Beckett, and Luke. We are a sports family, so I enjoy coaching my children in soccer, baseball, and softball. I also love being an active member of the community by helping run the local Little League and teaching the youth at my church. 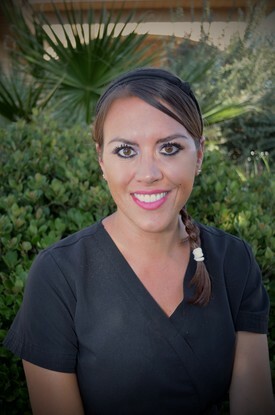 Matha is a Registered Dental Hygienist and a Certified Dental Assistant. She has worked in Dentistry almost 20 years. 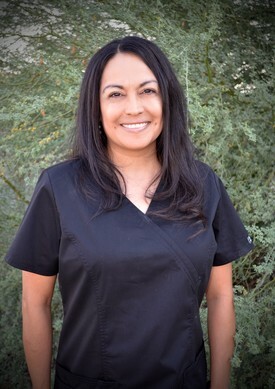 Martha studied Dental Hygiene at Mesa Community College and is an active member in the American Dental Hygiene Association. 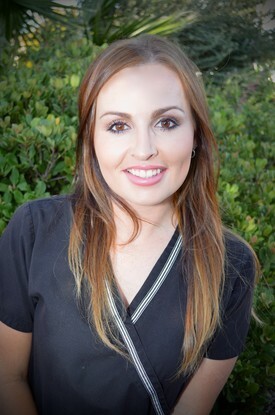 She is passionate about Dentistry and taking the best care of her patients. When she isn't cleaning teeth, she can be found spending time with her husband and three children, baking cupcakes, or reading Regency Romance novels. She also enjoys traveling, church service, and music.